All day, every day, we send people positive or negative vibes, positive or negative energy that either draws people to us or warns them away. Smiles and words of agreement, affection and appreciation, affect people in a positive way and encourage our students to pay attention to what we say. 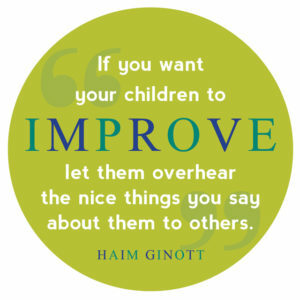 Complaints and criticism push people away and cause our students to tune out our teaching and directions. 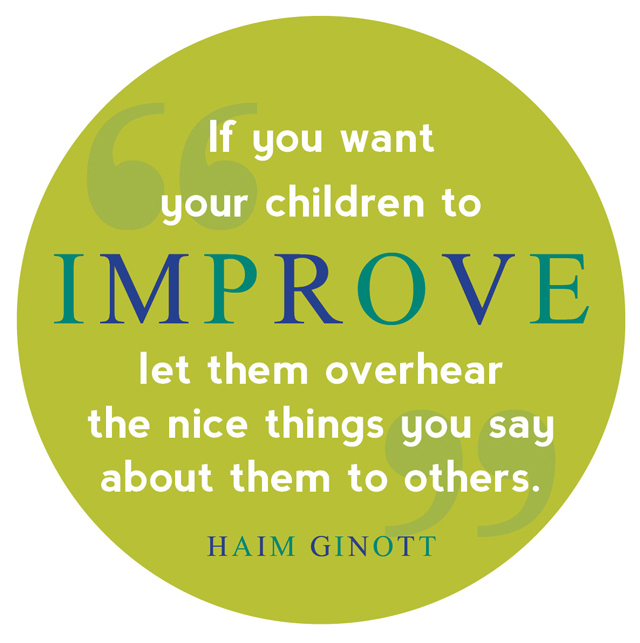 In the same way that we can train ourselves to catch our students being good, we can build the habit of thinking about and talking to them positively, and complimenting them to others. 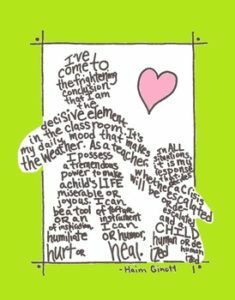 Challenge yourself- say something nice about a student each day. Turn to your co-teacher or colleague as the class is putting away materials or lining up and say one thing that you noticed. “Raven made a great point about Reverend Dimmesdale’s motivation,” or “Winter was getting his subtraction facts so quickly today.” It will positively impact your colleague’s mood (and possibly their perception of that student) and communicate to the child that you see them, hear them, and value them. or check out his book Teacher and Child.